One of the reasons that Bali is such a beautiful place to visit is because of the Hindu influence across the island. There are hundreds of amazing temples throughout the island, but here are my three favorites. Pura Besakih is considered the “Mother” temple in Bali. It dates back to the 14th century (although some claim as far back as the 10th!!) and is a complex of TWENTY THREE different temples. 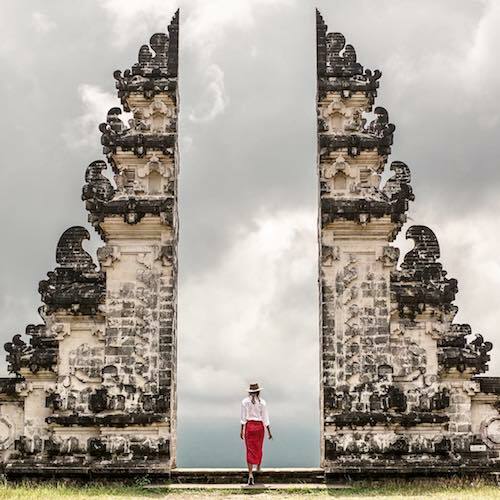 They are absolutely gorgeous and you should definitely visit on your next Bali trip! Okay this one is kind of cheating because it’s more lake than temple, but there is a temple there so I’m recommending it. Go for sunrise, bring some cash and rent a canoe to take you out and see the sunrise. The mist rising from the water and the colors are absolutely stunning. If you’re up for a drive, this temple is definitely worth it. It’s absolutely gorgeous and has views to die for - but it is a bit in the middle of nowhere.